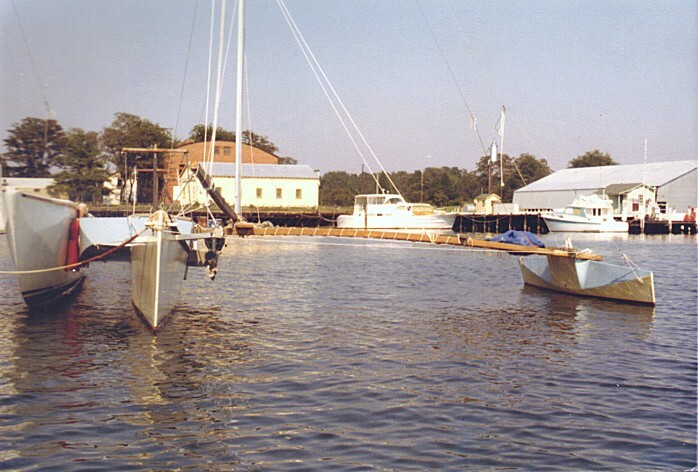 Rowing around the harbor in Back Creek in Solomons, Maryland (USA) in August of 1977*, I came across Russ Brown's proa Jzero. 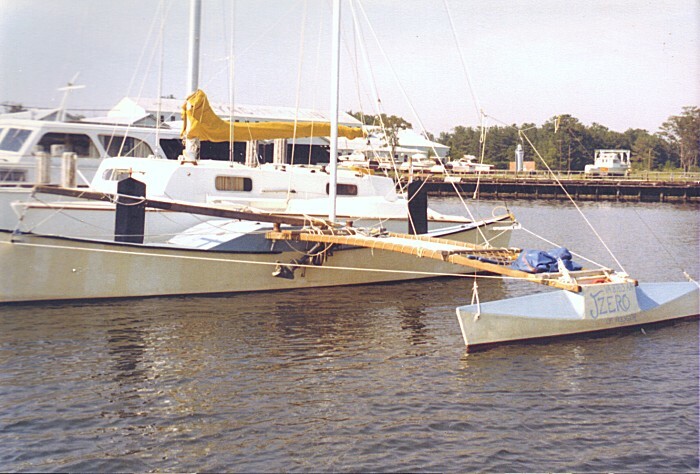 I was just starting constructiion of a CabinSib 32 trimaran across the creek and had talked often with Russ's father Jim Brown. 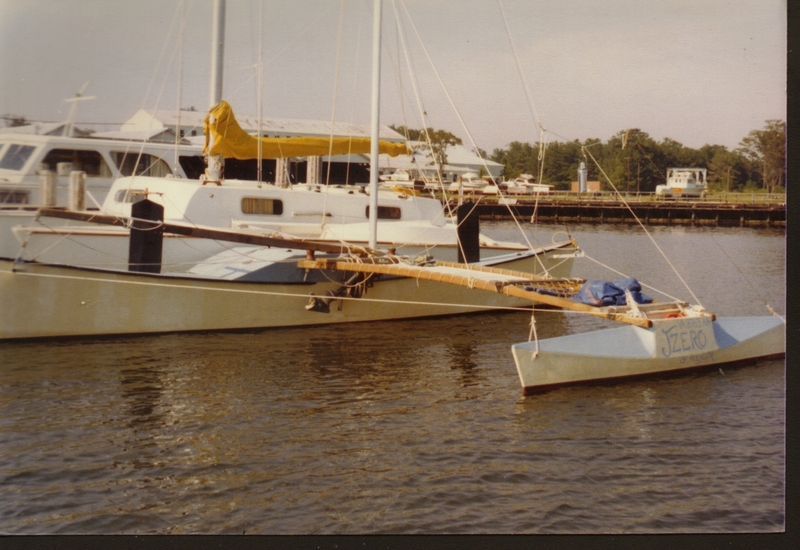 Jim had told me about Russ & his proa, but I was surprised to see her in Solomons. 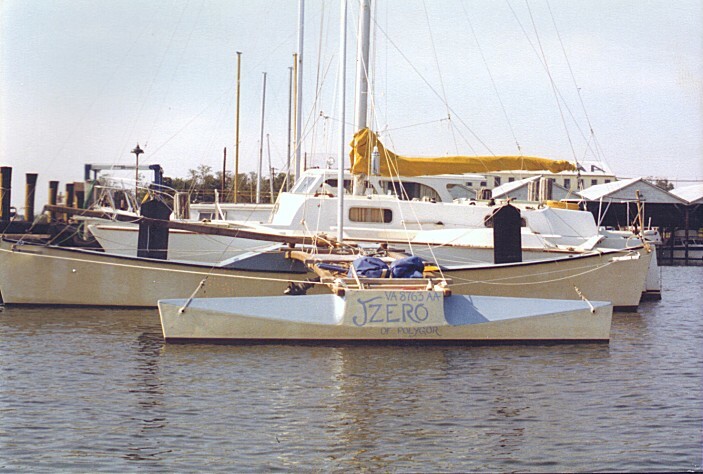 Being a boat nut and having an interest in multi-hulls, I visited Jzero often that summer. 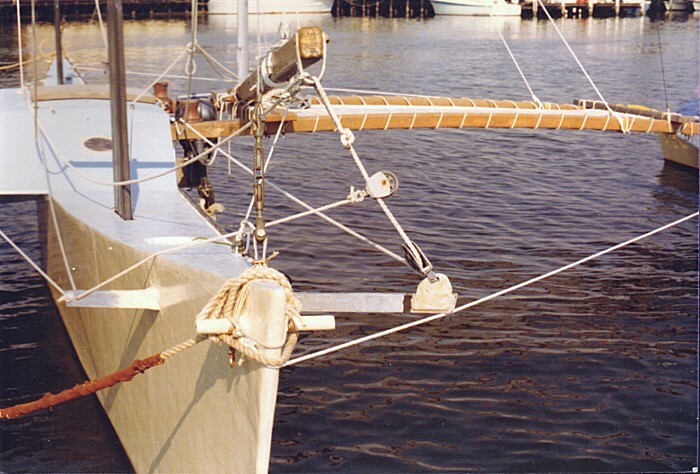 I was fascinated by this minimalistic craft that was clearly very fast. 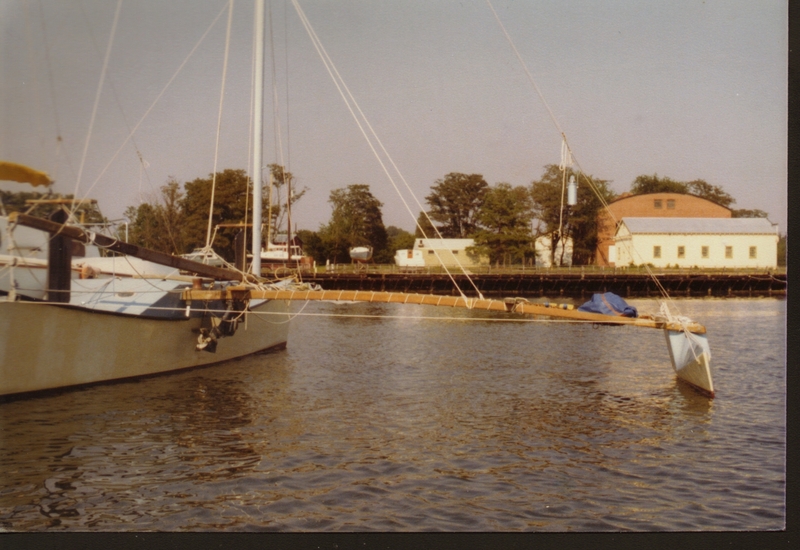 Knowing a little of its heritage, I suspected it was more seaworthy than it appeared at first glance. Never meet Russ, though I looked for him. 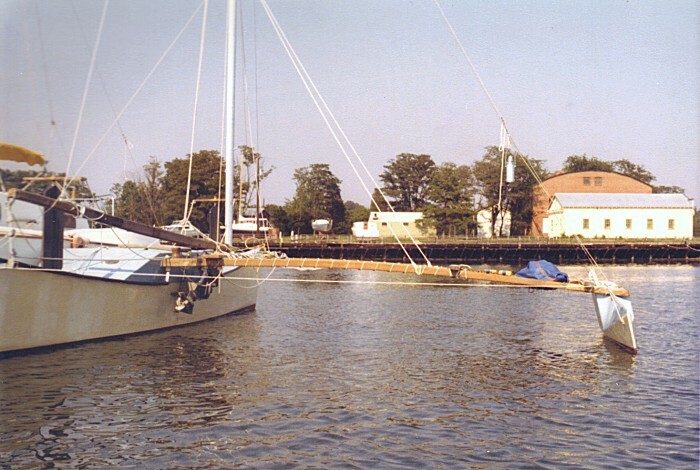 I saw the boat under sail the morning he left Solomons, she looked beautiful to me. 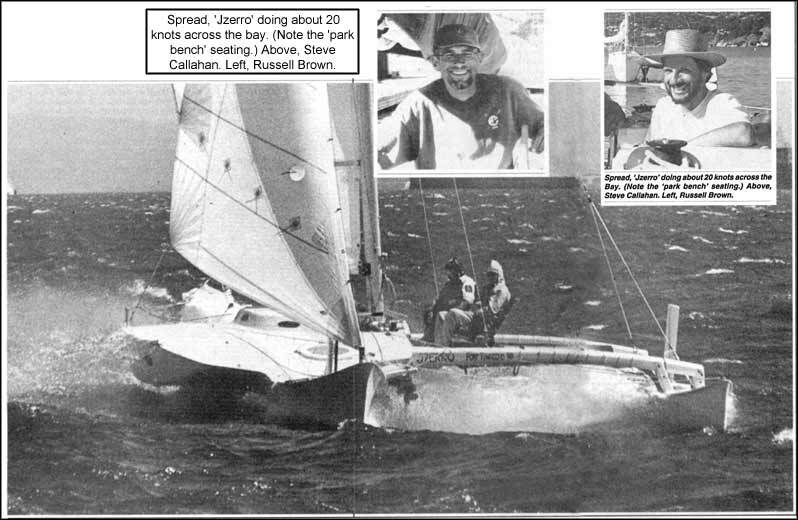 I had sorta lost touch with the whole proa concept, but the recent Cruising World article featuring Jzerro led me to search the web for more information on Russ Brown and his proas. All this reminded me of his original Jzero and these pictures that have been gathering dust in my closet. * Thanks go out to Mark Balough who dated these pictures definitively for me. He says that Russ went south in the fall of 1977. 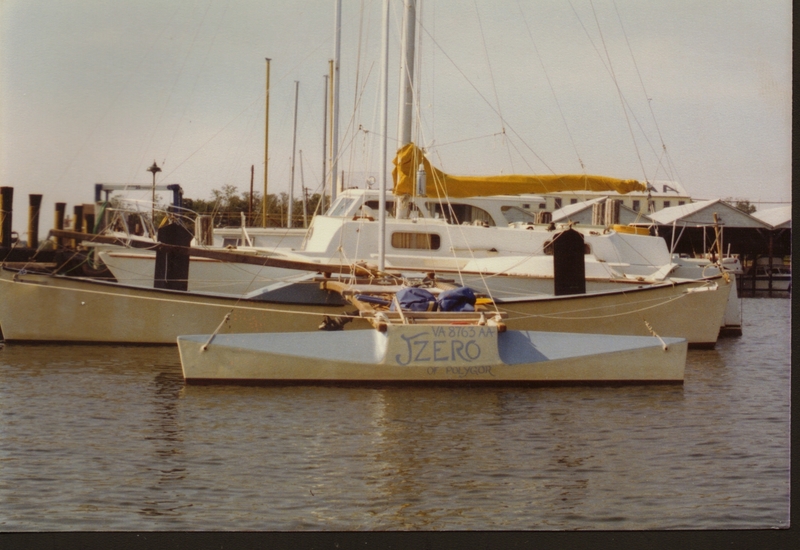 Mark sailed with Russ in the spring of '78 to Puerto Rico and Jzero never returned from the Caribbean, she is still there. 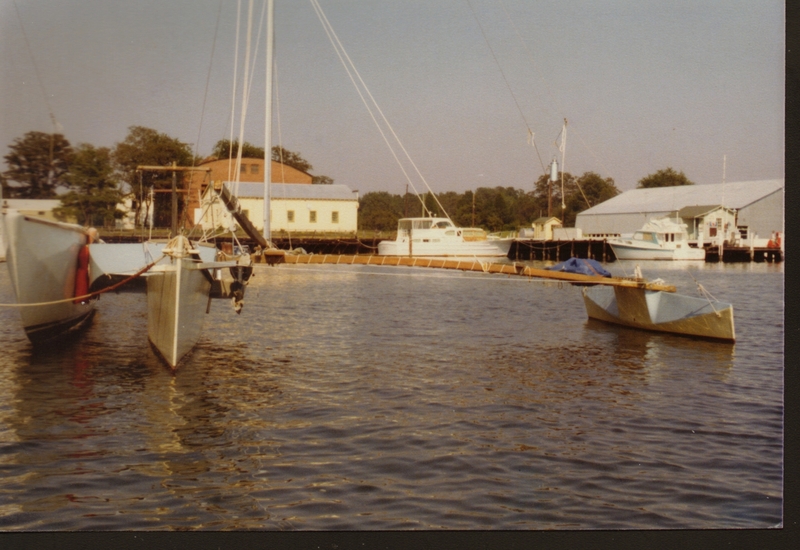 I don't think the pictures could be any earlier than '77. 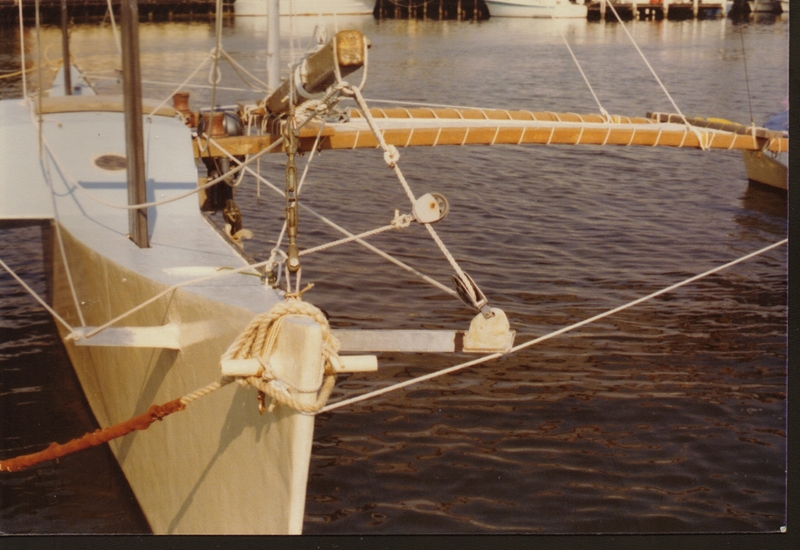 For more Proa Info, see Joseph Oster's Proa Web Site. 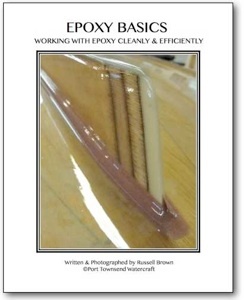 Check out his Proa Links Page. The thumbnail pictures below link to larger pictures (100K) by clicking. If you want the original scan which has had no touchup, click the "Original Scan, Large: 1.2MB" text. These are BIG files and you probably wouldn't have any need for them unless you want to do your own retouching or to make prints. Photographs are copyrighted by Craig Bumgarner. Craig grants unlimited non-commerical usage rights without charge. In the highly unlikely event there might be interest from commercial users please contact Craig before use.